When you are moving hundreds of pounds of water, trusting a mobile detailing trailer that is made from anything less than professional grade material is a short term solution to a long term issue. When parts begin to fail and you spend more time fixing your trailer than serving customers, your mobile car wash and detailing business suffers and your customers go elsewhere. That’s why it is crucial to use professionally manufactured mobile detailing trailers and mobile car wash equipment from Detail King. 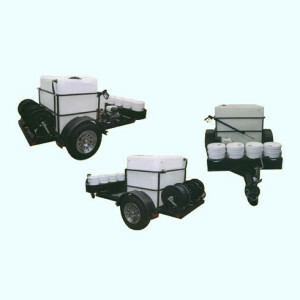 A store bought utility trailer is not designed to support water tanks, they are designed mainly for landscapers that are hauling lawn cutting equipment. 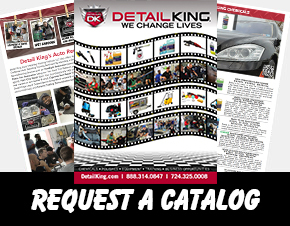 The Mobile Car Wash Trailers, Mobile Auto Detailing Trailers, Mobile Car Detailing Trailers, and Auto Detail Supplies from Detail King are some of the best built trailers in the industry. Rugged tubular steel design and powder coated painted protection are important features that will keep this detailing trailer on the road and standing tall! Using mobile detailing trailers and mobile car wash equipment from Detail King is not only a long term money saver, but a money maker. Our high quality auto detailing trailers give you the freedom to haul everything you need without having to worry about parts failing or not being able to carry enough water. Our trailers are designed to give you years of trouble free use with proper maintenance. Our trailers are professionally built and competitively priced. 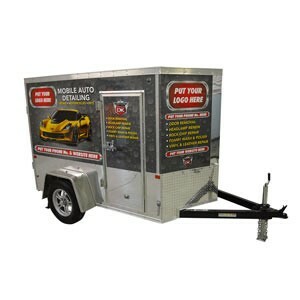 We use Honda engines, and General or Cat pumps which make for a perfect professional mobile detail trailer. 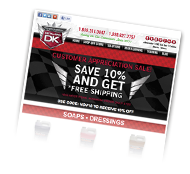 Shop today and discover what our trailer solutions and auto detail supplies can do for you!